Locating, identifying and quantifying odors at your facility. 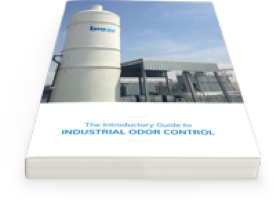 Industrial and municipal facilities are often complicated, meaning the sources of foul odors can be many and varied. BioAir technicians are experts in locating odor sources and using tools and knowledge at their disposal to collect important information about what they find. • Pinpoint the source or sources in your facility where foul odors escape. • Determine the way odors are released (it could be a natural result of an on-site process or it could indicate an equipment malfunction). • Observe the way odors are dispersed from a facility and impact neighboring development. When odors from Australia’s biggest brewery threatened nearby neighbors, our customized solution resulted cleaner, healthier air for all. Another critical part of the odor assessment process is collecting and analyzing actual samples of polluted air. 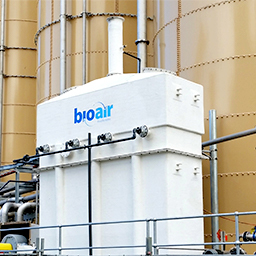 BioAir collects these samples and then sends them to appropriate specialty laboratories for analysis. The goal of that analysis is to precisely identify the odor or odors impacting your facility and quantify the problem. By determining the type and scale of the odor problem at your site, we’re equipped with the information we need to recommend an odor control solution customized to fit your site’s specific needs. Need us to run some tests?